Hi everyone. Today I want to show you how you can develop custom inline functions for the Nintex Workflow product for SharePoint. I got the idea from here (Absolutely great post.) 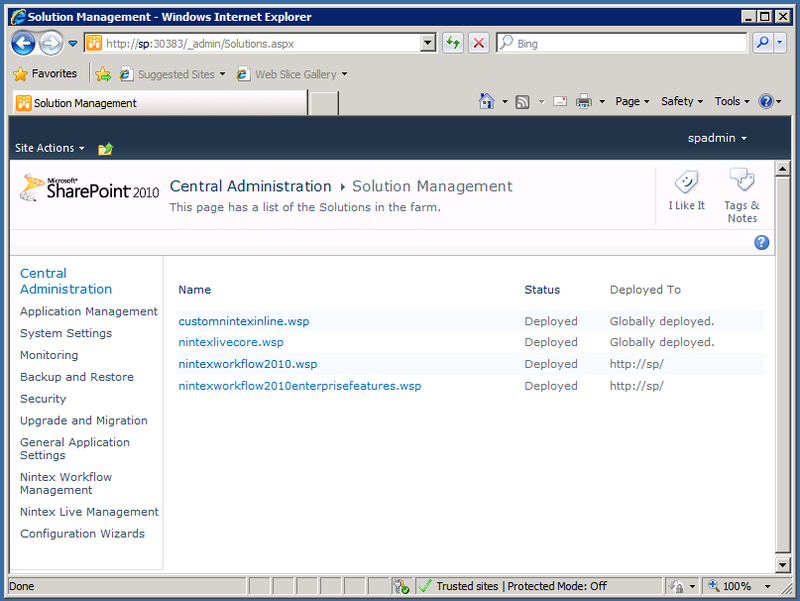 but I created a SharePoint solution file because I thought this would be a bit simpler to use. 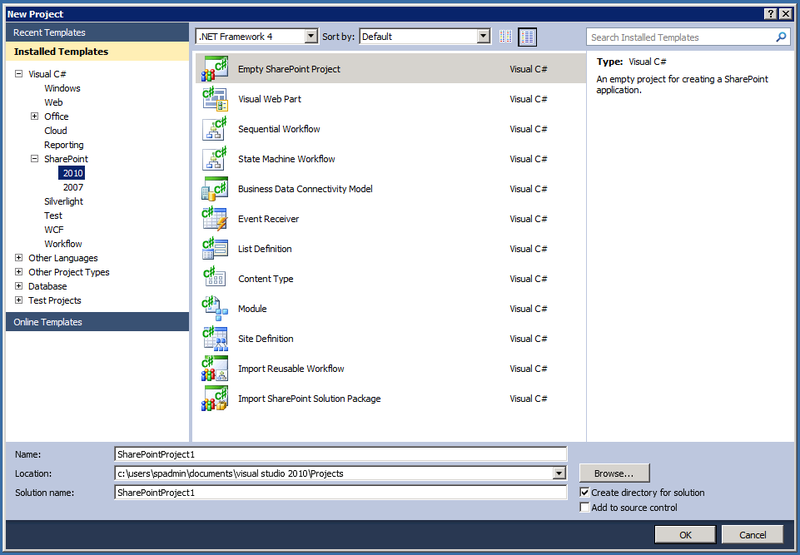 First open Microsoft Visual Studio and create a new Empty SharePoint Project. Remember to deploy it as a farm solution. Now add a new Class. I called mine “Function.cs”. Write down the value of your Public key token you will need it later. 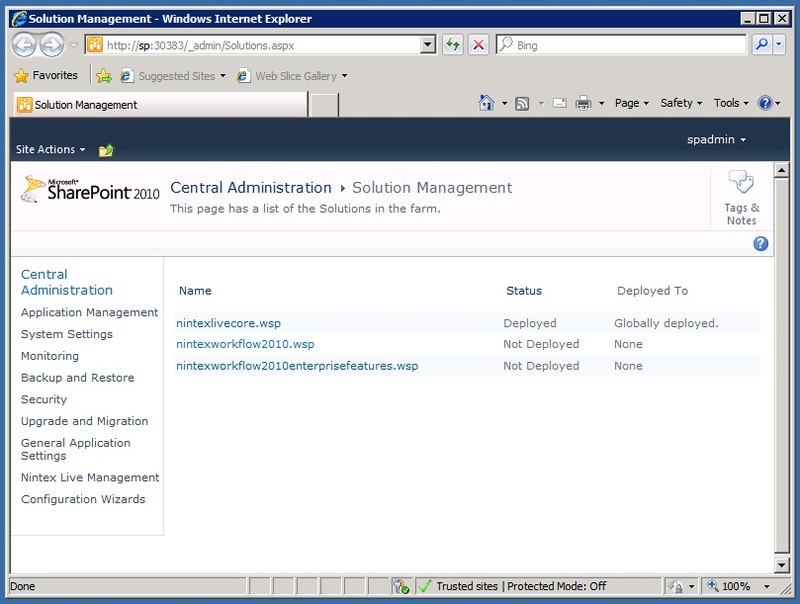 Next open your SharePoint Central Administration and deploy your solution globally. NWAdmin.exe -o addinlinefunction -functionalias "fn-Random (The string alias used to use your function later in your workflows)" -assembly "CustomNintexInline, Version=1.0.0.0,  Culture=neutral, PublicKeyToken=<Value you retrieved before by using sn.exe> (dll data)" -namespace "CustomNintexInline (Namespace of your Project)" -typename "Function (Class of your Project containing your function)" -method "Random (Method/Function name in your Project)" -description "<A short description what your function does>" -usage "<How to use your function>"
If the above command finishes without error messages your custom inline function has been successfully added to your Nintex Workflow product. As you can see everything worked as expected and your custom inline function is ready to use. I hope you liked my today´s post. See you next time. Hi everyone. 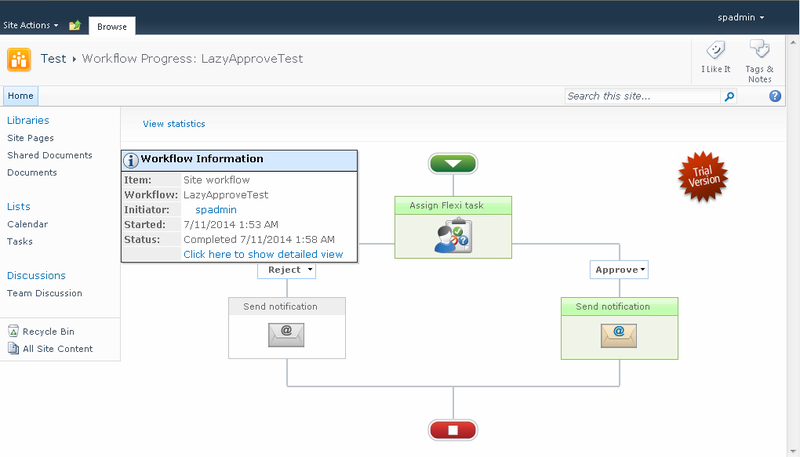 Today I want to show you how you can setup Nintex Workflows Lazy Approval feature. 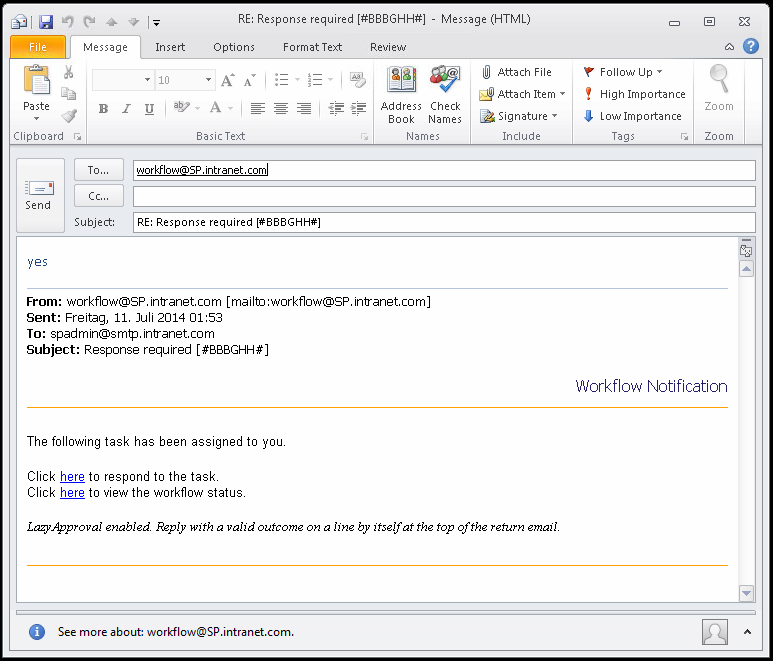 The Lazy Approval feature allows your users to reply to mails sent by User Interaction Tasks (like Flexi Task) with a valid term to either Approve or Reject the Action. Since this feature is pretty popular I thought I should post about how to set it up so you can enable this feature for your users. 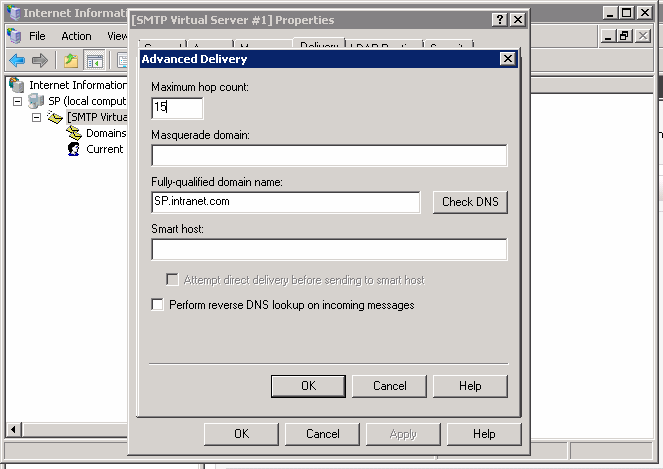 The first thing you need to do is to install the Windows Feature SMTP Server on your SharePoint Web Server (in my example the Web Server is called: sp.intranet.com). 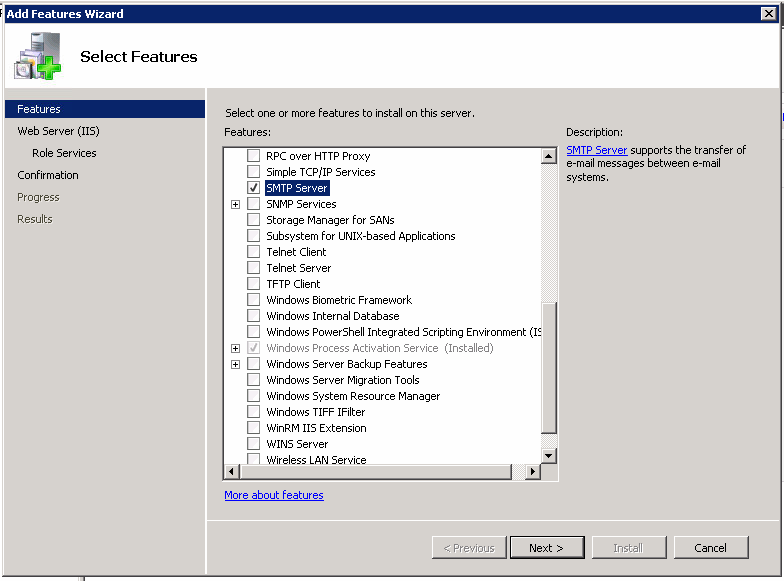 Check the Advanced Settings in the Delivery Tab of IIS6 Manager if the FQDN of your SharePoint Web Server is entered correctly and you´re good to go. Important: Make also sure that the Simple Mail Transfer Protocol services Startup Type is set to Automatic to make sure the service will be started when you reboot your server. That´s it. Your SharePoint Web Server is ready. 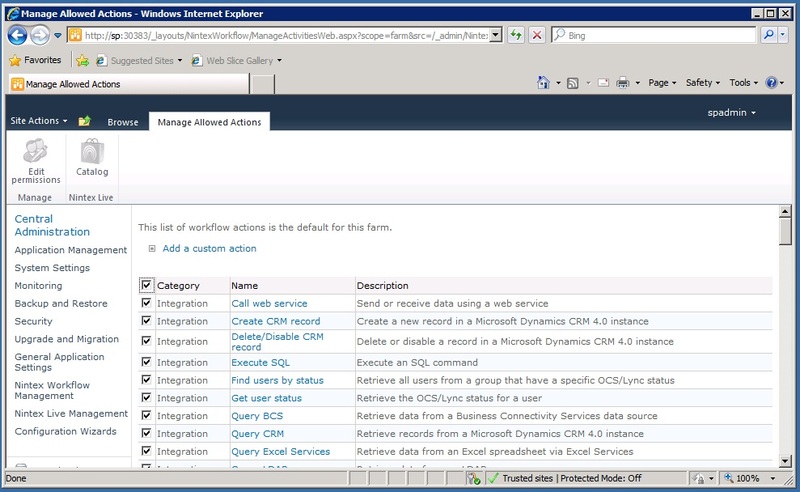 Open up your SharePoint Central Administration and open up the Incoming E-Mail Settings page. 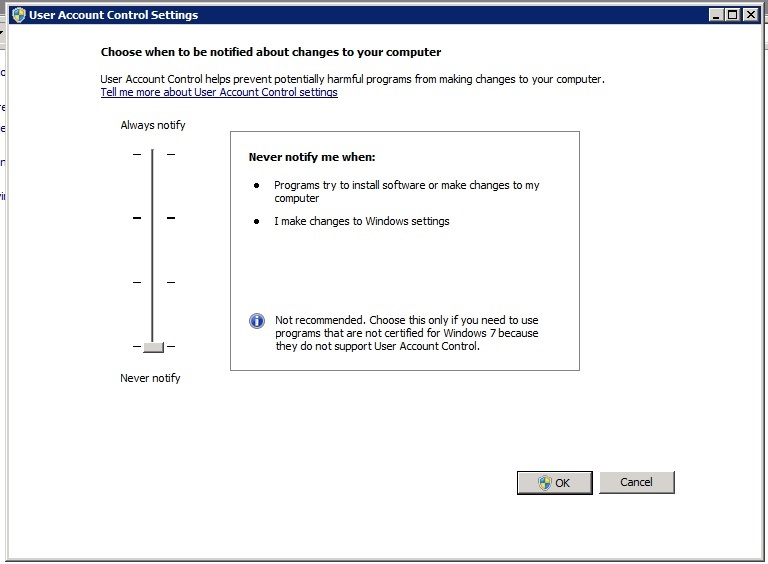 Now choose Yes and Automatic for Enable Incoming E-Mail and click on OK.
Next go to the Outgoing E-Mail Settings page. 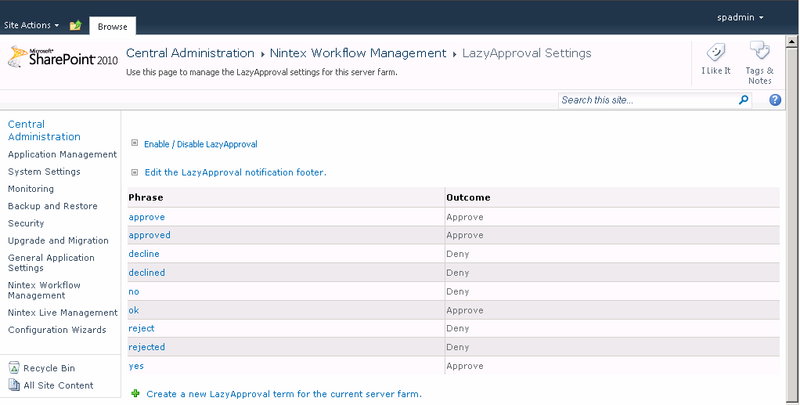 Now go to your Nintex Workflow Management page and go to LazyApproval Settings and click on Enable / Disable LazyApproval for the current server farm. 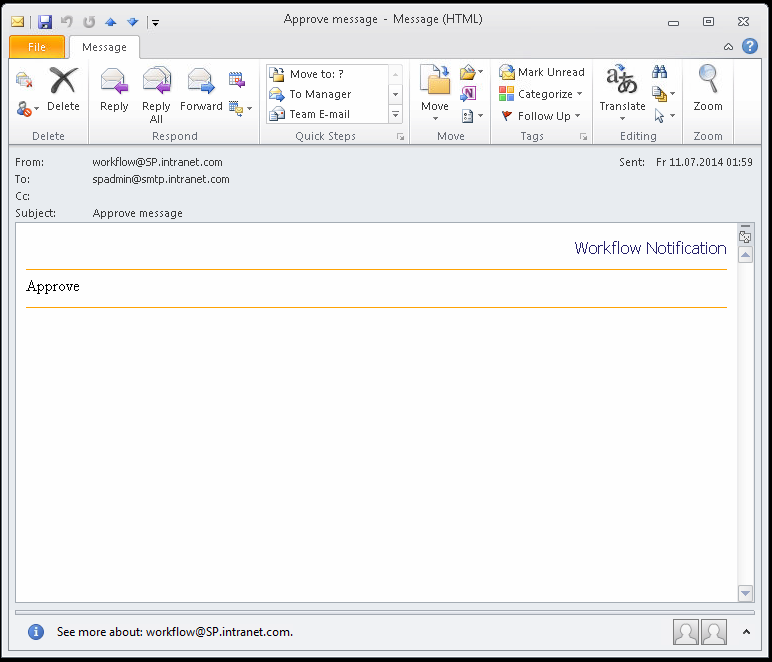 Now enter the E-Mail address which shall be used by the Lazy Approval feature and click on OK.
After you have clicked on OK your will be redirected to the LazyApproval Settings page. 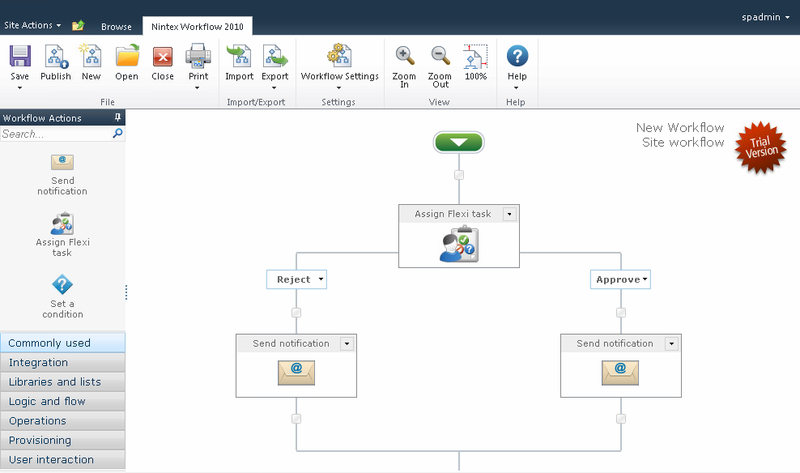 On this page you can configure terms which your users can use to respond to workflow tasks. That´s it. 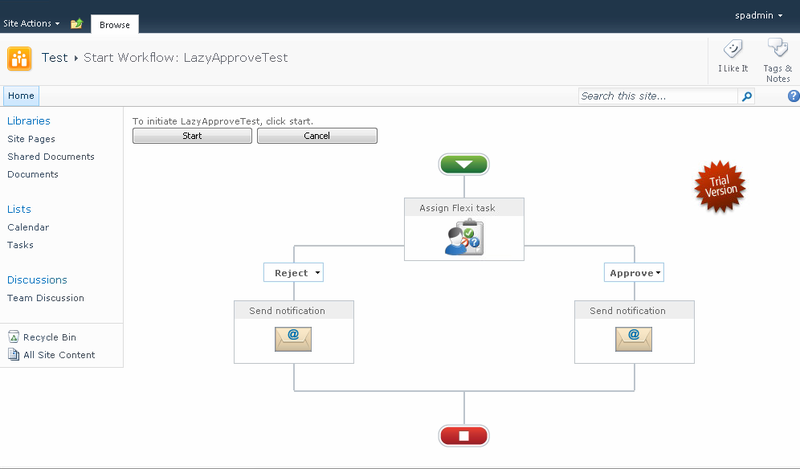 The Lazy Approval feature is now ready to use. 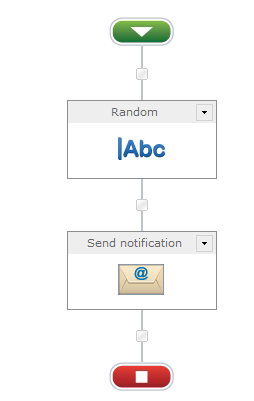 To test the Lazy Approval feature just create a new Nintex Workflow. 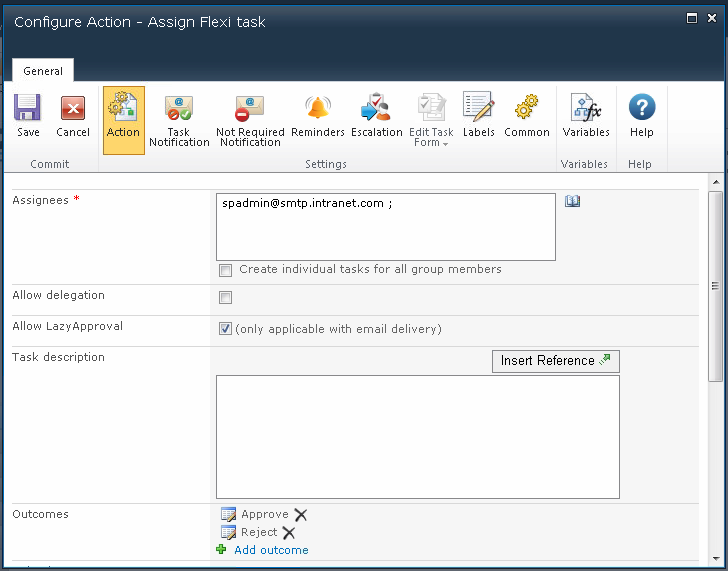 Add a Flexi task feature and open the Configuration page of the Flexi task. Now check the check box next to Allow Lazy Approval and click on OK.
Now Publish your Workflow and start it. Now all your users need to do is to Reply on this mail with a valid term. For example: yes to Approve the task. As you can see our Example Workflow took the Approve route as expected. That´s it. It is as easy as this to enable Lazy Approval for your users. I hope you liked my post. See you next time. Hi everyone. 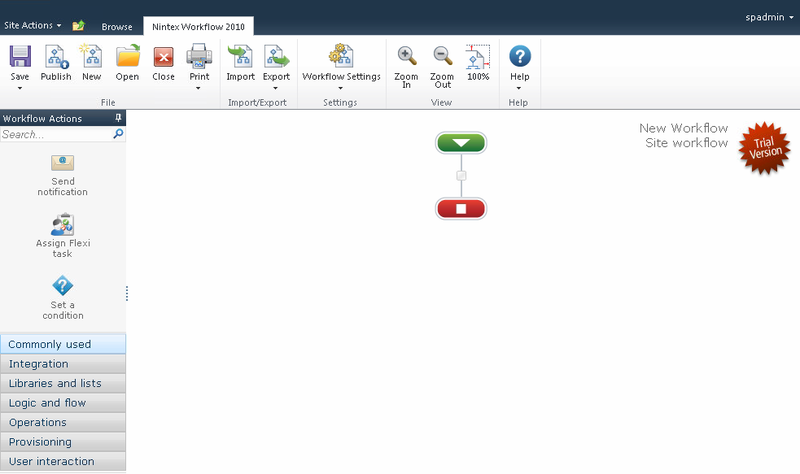 Today I want to show you ho you can setup your own Nintex Workflow Development environment. I thought a short tutorial would be good since you can easily run into errors when you miss a step. You can get a Development license from here. All you need to do is to fill out a form with your personal data. 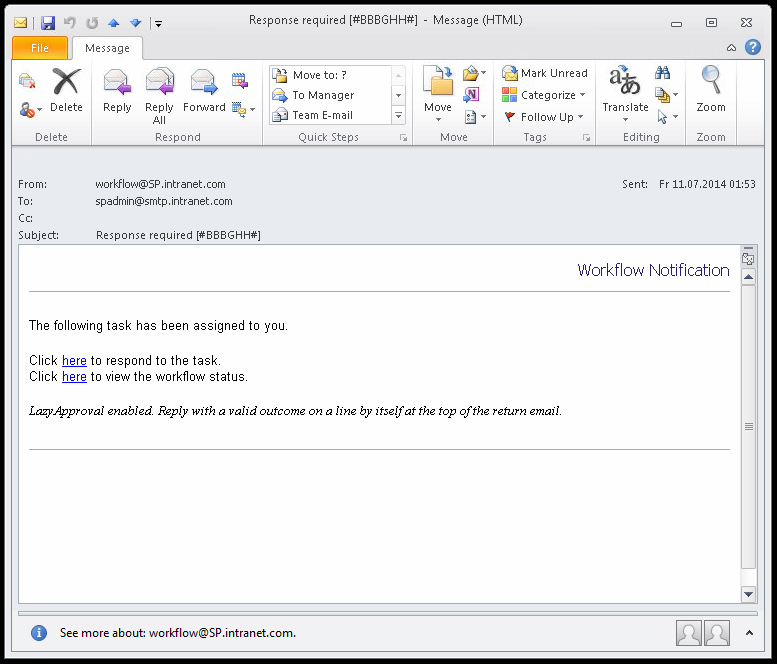 After you have sent your data to Nintex you will receive an Email containing your license file and a download link of the Nintex Workflow product. Important: Nintex does not accept free Mail addresses like googlemail.com in their Development license request form and the Development license will lose its validity after 30 days. 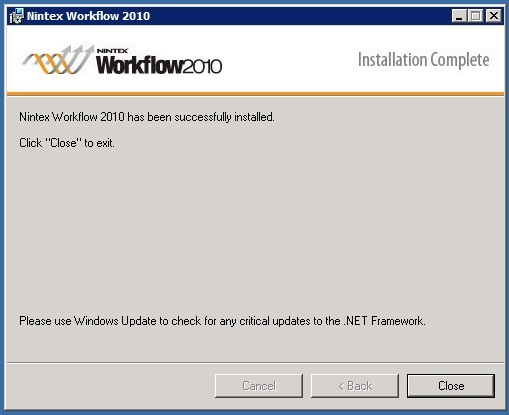 Important: Nintex Workflow needs to be installed on every SharePoint Web Server in your SharePoint Farm. 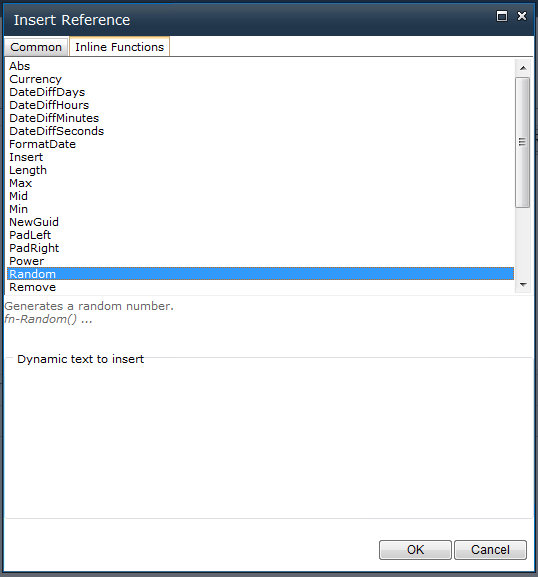 Set the User Account Control settings on the lowest level and reboot your server. If you miss this step you might run into errors preventing the Install Wizard from adding the solution files to your farm. 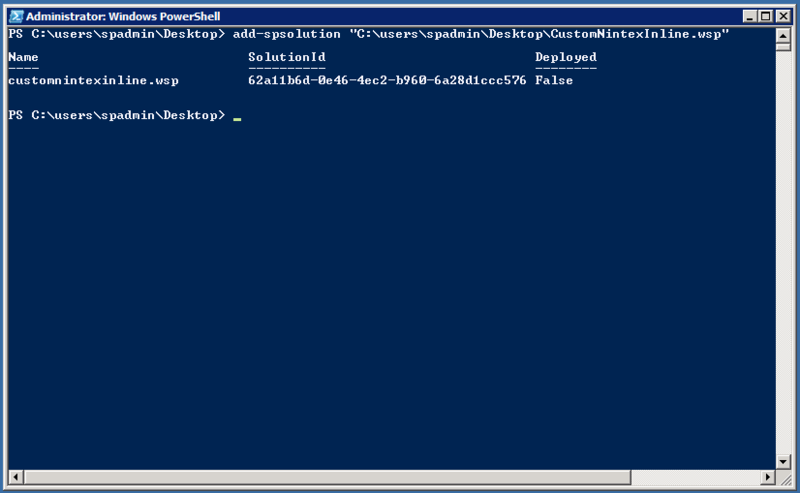 Now run the Install Wizard as a SharePoint Farm Administrator and wait till the Wizard has finished his work. Important: After the installation has finished you should set your User Account Control settings back to the Default value and remember to reboot your server. As you can see the solutions have been added to your farm. Now you need to import your license. The next step is to create a database where the Nintex product can store its data. 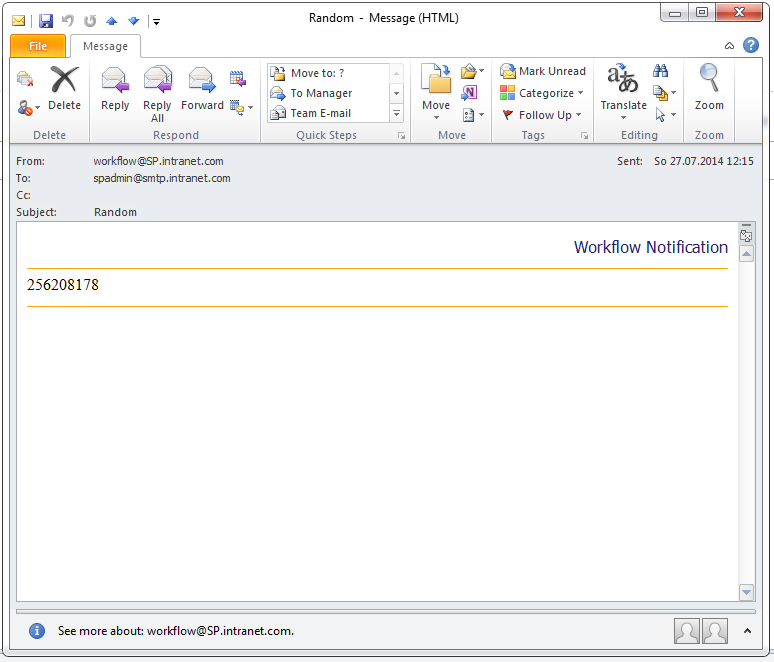 Now you need to activate Nintex Workflow on every Web Application you want to use it. Now go to Manage Allowed Actions and check every action you want to allow to be used in your workflows. 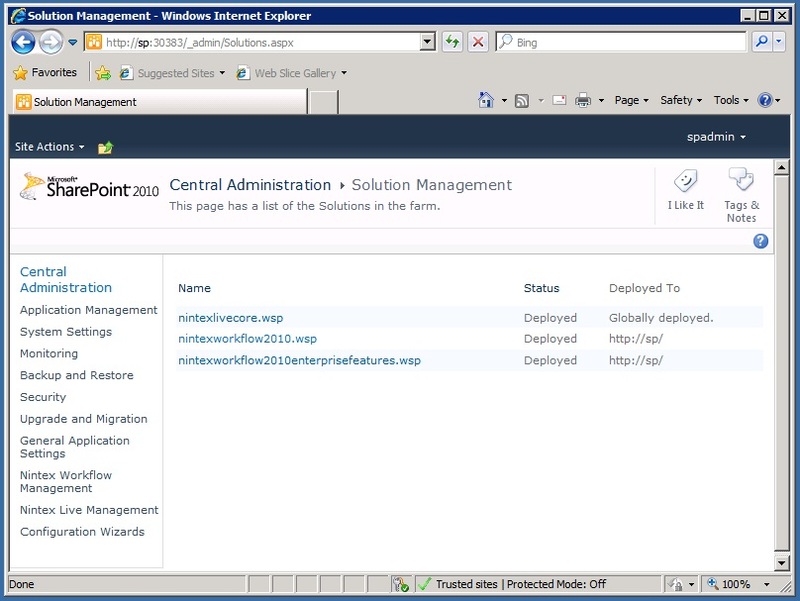 Now go to your Site Collection where you want to use Nintex Workflow. That´s it. 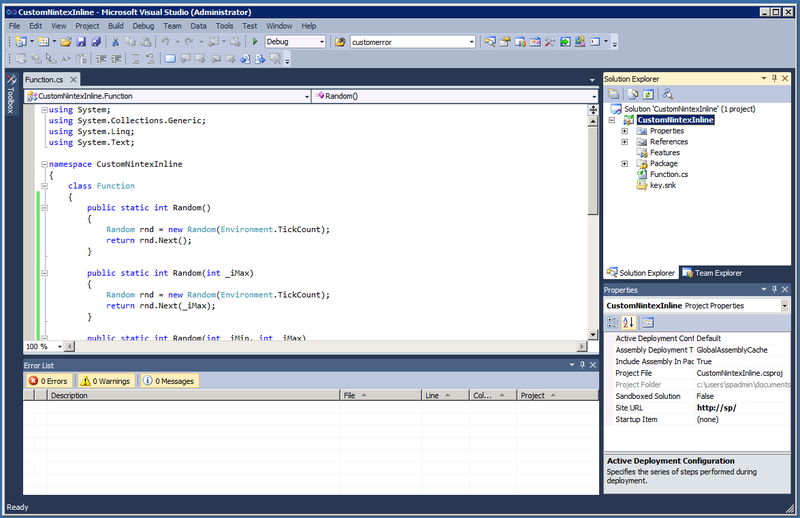 Your Development environment is now ready to use. I hope today´s post was interesting for you. See you next time.